My husband contributions to the MakeDo’s. He has scrap metal lying around, so he pieced together crosses. They range in size from 2′ to 5′ tall depending on the metal pieces he has. 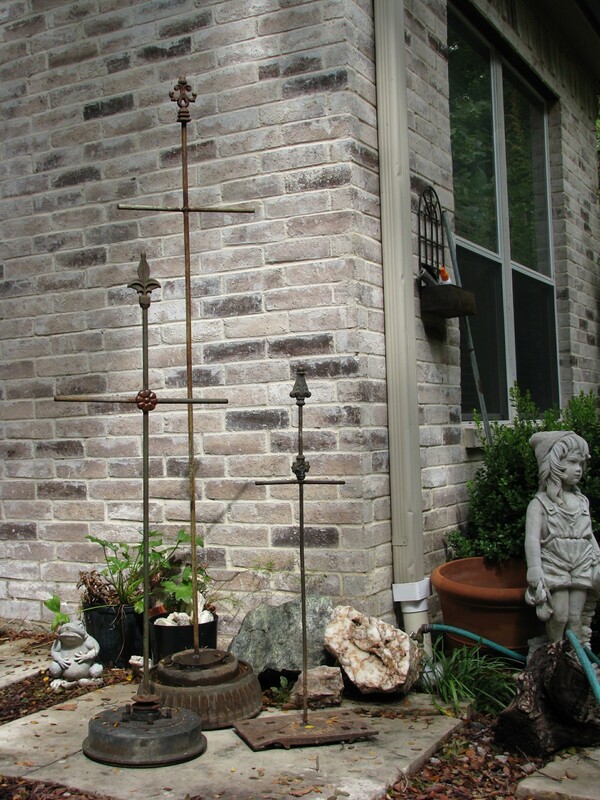 Old metal fence pickets with existing finials are perfect for this project then adding a medallion at the center of the cross. The bases are heavy pieces, such as brake drums, old jack base, etc. A cluster of three is a wonderful addition to any garden. 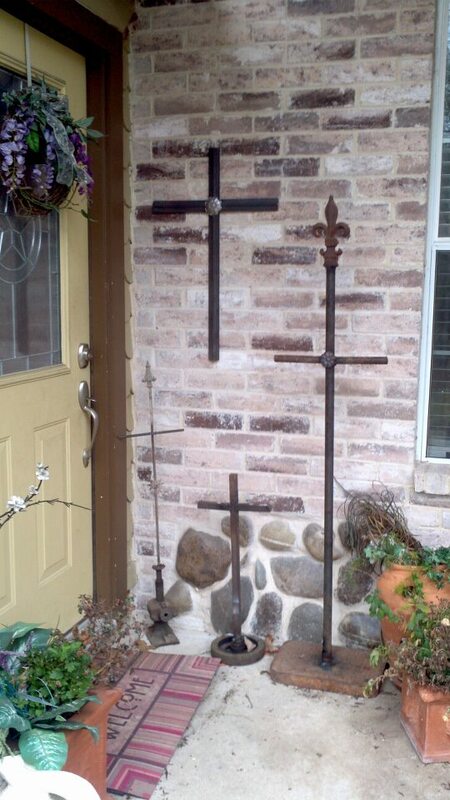 This second grouping is at our front door and includes a wall cross. The hanger is piece of expanded metal welded to the back.